While Alfred Nobel may have had noble intentions when he instituted the Nobel Prizes for excellence in certain fields of human endeavour, much of the glamour of receiving a Nobel prize has worn off in recent decades. 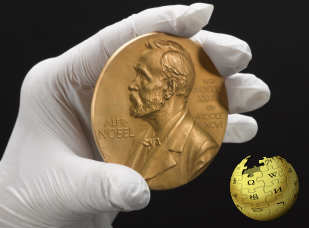 Many recipients are completely unworthy of the accolades that come with the Prize, while other, more deserving candidates have gone unnoticed amid the swirling myths, lies, misconceptions, and media manipulation that surround many recipients of the Nobel Prize. “Even a cursory inspection will reveal the juries that pick the laureates have often shown bias, lapses of judgment, and bitter infighting. In the sciences, a number of quarrels, scandals, and even lawsuits have erupted over claims to priority or credit for collaborations honored by Nobels. And while widely admired, the sciences have also been charged with swaying research goals and funding, however inadvertently, and more insidiously with corrupting scientific ambitions by the lure of Nobel fame. Such controversies, together with public dissent from several prizes, have been part of the Nobel history since its beginning. All prizes stir arguments, the Nobel’s fame simply magnifies this hugely. The list below recounts myths, misconceptions, and outright manipulation of the truth surrounding 5 recent recipients of the Nobel Prize. You may find them shocking, revealing, sad, or even outrageous, but above all, we hope you find them entertaining. 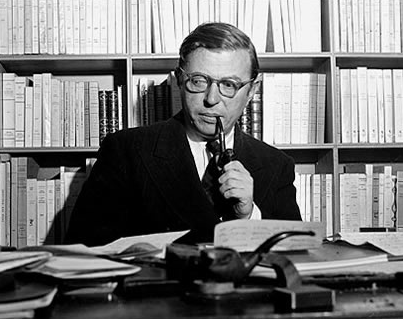 Jean-Paul Sartre (1905- 1980) was awarded the Nobel Prize for literature in 1964, which he refused on various moral grounds. However, apparently broke, he asked for the money in 1975, but was turned down by the awards committee. Moreover, Sartre was a highly successful writer, and for the last 16 years of his life, he wanted for nothing, since the royalty payments on his works kept him well supplied with all his earthly needs. There is no Nobel Prize for mathematics because of the affair that Alfred Nobel’s fiancé had once had with a mathematician. While it is true that Nobel was once engaged, in the sense that he did propose marriage to a woman named Alexandra, there is no record of her having had an affair with a mathematician, neither during her involvement with Nobel, nor after she left him to marry a former flame, Baron Arthur von Suttner, who incidentally, had no interest in mathematics. Nobel never again proposed marriage, and the reason for the fact that there is no prize for the subject, is simply that Nobel did not grasp the importance of higher mathematics to the development of the sciences. Nobel was a chemist by nature, and he never worked with pure mathematics; to his way of thinking, the only endeavours worth spending time on were physics (lots of maths in physics), chemistry, literature, medicine, and of course, the pursuit of peace. The awards committee always publishes a shortlist of nominated candidates. Fact: The selection committee never releases the names of candidates, and all records dealing with any award are sealed for a period of 50 years. Media campaigns in favour of a particular candidate can influence the awards committee to award a prize to a person other than the decided-upon winner. Fact: The awards committee is fiercely independent, and pressure in favour of a particular candidate can in fact have the opposite result to what was intended with a media campaign. It is possible to nominate a candidate up to the last minute before an award is made. Fact: All nominations are subject to a deadline of eight months before awards are announced, and the first day of February is the absolute last day on which nominations can be submitted. Mother Teresa was a friend to the poorest of the poor. 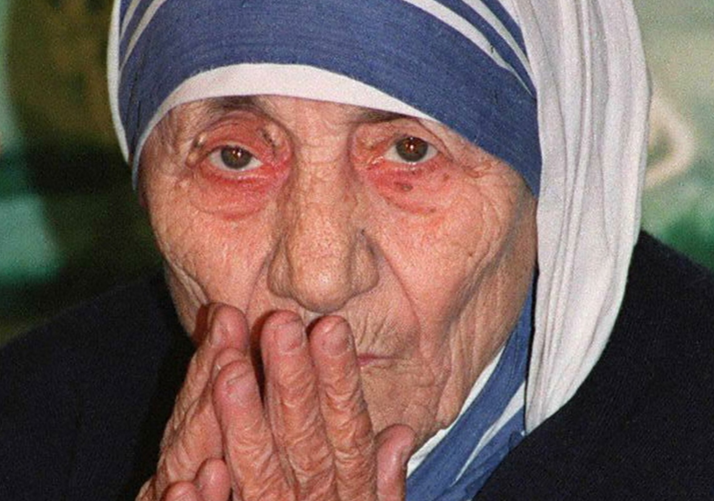 Recipient of the Nobel Peace Prize, “Mother “ Teresa was certainly no friend of the poor. What the world saw was vastly different from the reality. By the time of her death, Agnes Gonxha Bojaxhiu, as she was born, had established more than 600 missions, hospitals, and “homes” for the poor in more than 120 countries, but these institutions fell far short of the image she had created for public consumption. “No chairs, just stretcher beds. There were no medical care or pain killers beyond aspirin and the refusal to take a 15 year old boy to the hospital”. I was shocked to see the negligence. Needles were washed in cold waters and reused and expired medicines were given to the inmates. ”There is something beautiful in seeing the poor accept their lot, to suffer it like Christ’s passion. The world gains much from their suffering.” There is more- “Mother” Teresa did not avail herself of her own facilities when she fell ill. Instead, she preferred California clinics when she got sick herself, and her order always refused to publish any details of the costs of her treatments. It is also perhaps fitting to note that Teresa had spent her entire life in opposing the one true cure for poverty- the empowerment of women, and especially poor women. Nobel Peace Prize Laureate Nelson Mandela was a pacifist, hated communism, and stood for human rights, human dignity, and reconciliation. Much had been written about the man Nelson Mandela, the “saint” who is said to have single-handedly brought about the South African “miracle”. However, not nearly enough had been written about the myth that was made out to be the man. For a start, he was a true communist, and did much to promote the cause of communism in Southern Africa, if not the world. He is universally recognized as the founder of “Umkhonto we Sizwe” (The Spear of the Nation), the armed wing of the now-ruling African national Congress. This organization was formed with the express purpose of bringing down the SA Government through violence and acts of sabotage and terror, and many innocent civilians (black and white) died at the hands of MK, short for Umkhonto we Sizwe. In fact, Mandela admitted to having planned and executed acts of terror during his 1964 trial, and even in the early 1980’s, when the minority Government had already started dismantling Apartheid, Mandela refused to abandon violence as a means to reach an end when he was offered his freedom.